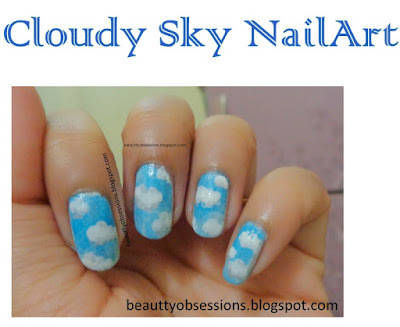 Today I will show you a simple yet pretty cloudy sky nailart... Here I have used nail polish sponging technique for the first time.. I have used a normal makeup sponge as don't have any professional nailart sponge.. I have tried my label best to draw the accurate clean cloudy sky ,hope you will like it... So let's move to the tutorial..
1- First apply a thin layer of base coat ,then apply one layer of white nail polish which I have used here as base..
2- Then take a sponge and apply light aqua shade polish on it and dab on the lower part of the nail thoroughly. 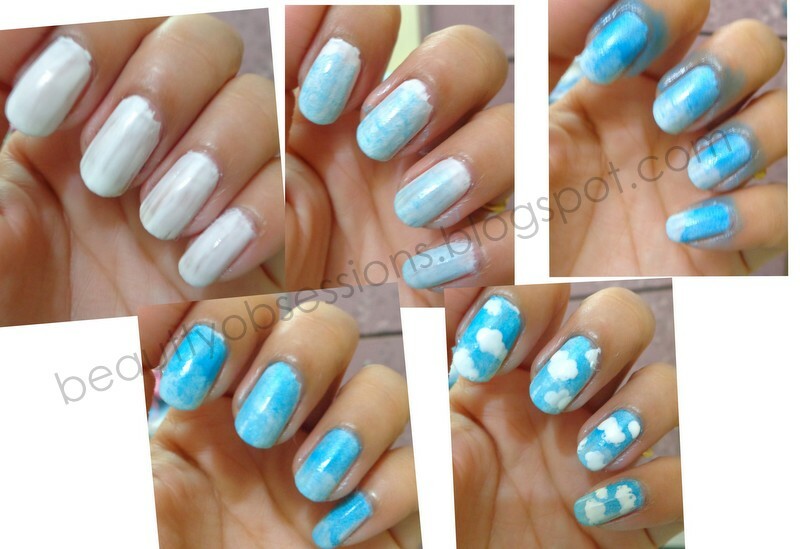 3- Then take the darker sky blue shade on the sponge and dab on the upper part of the nail properly to create a fusion..
4- Then clean the extra polishes outside the nail.. and let the polishes dry properly..
5- Now take the large dotting tool and with the white polish make few large dots to form a shape of cloud.. Refer the above picture..
Can you see the grey detailing at the sides of cloud...?? 6- Then let it dry and after that take the grey polish in the fine brush and make some grey detailing on the clouds.. See the picture.. I have done this step because clouds are not pure white,you can notice some grey-ish colour at the end portions of the cloud.. Adding grey to the outside was a good move :) Brings a dimension! This is the cutest nail art. Pretty clouds! They look realistic. 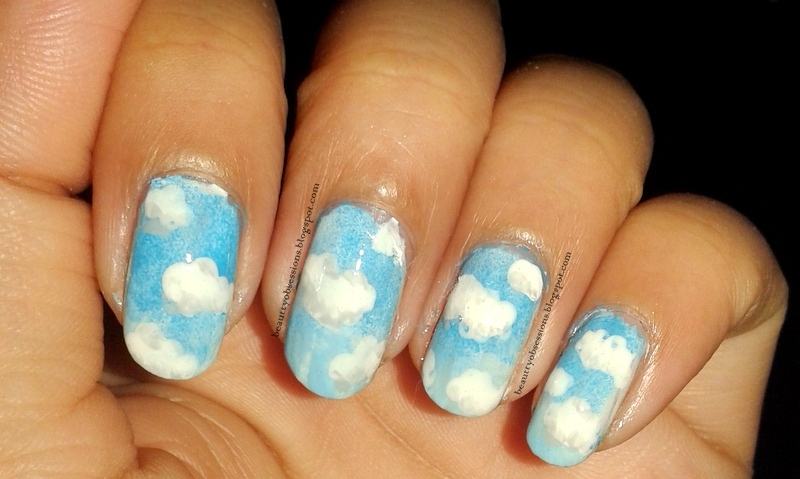 This is so dreamyy. . Will go great with raining weather. Cute!! 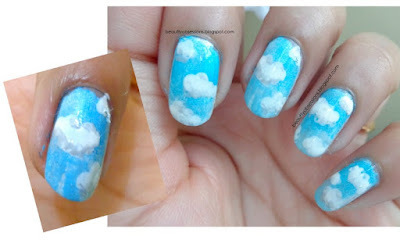 Really sweet cloudy art, it makes me remember those days when we used to draw like this on paper.